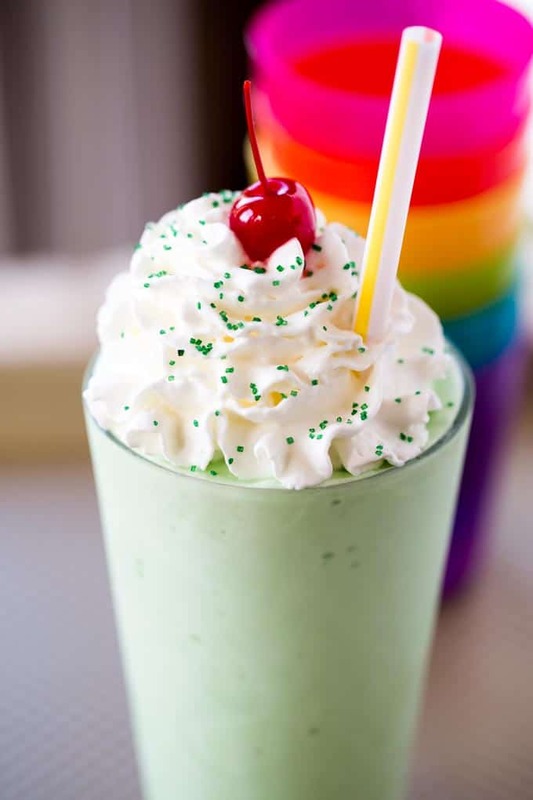 McDonald’s Shamrock Shake Copycat milkshake made easy and at home with vanilla ice cream, mint extract, whipped cream and a cherry with just a hint of St. Patrick’s Day Green! This dish is so easy to make at home with homemade Vanilla Ice Cream and homemade Whipped Cream you’re already halfway there with this recipe! 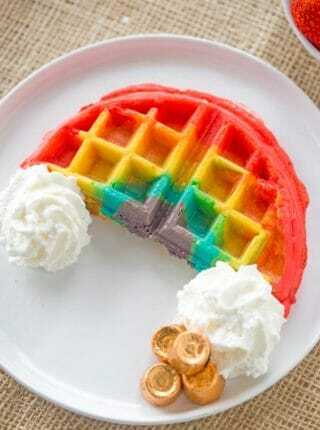 If you’re looking for fun rainbow recipes for St. Patrick’s Day you’ll love these Rainbow Waffles, Rainbow Cupcakes, Rainbow Poke Cake and then you can make some Rainbow Roasted Vegetables to make you feel healthier. 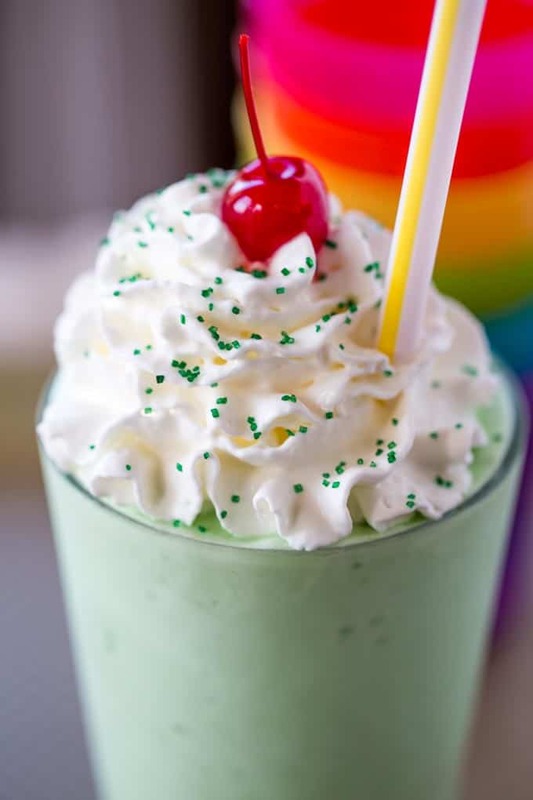 We love Shamrock Shakes as the dessert of the season and can’t wait for the limited time of year when it rolls around because it’s the start of all things St. Patricks day (and my favorite Corned Beef). This copycat recipe gets all the fun shake flavors with only a handful of ingredients you can skip the long list of ingredients you can’t pronounce, the drive-thru and the extra fast food you won’t be ordering! This McDonald’s Shamrock Shake is all about keeping the classic flavors in check. I use classic vanilla ice cream (not vanilla bean or French) and I use mint instead of peppermint flavoring in the shake. 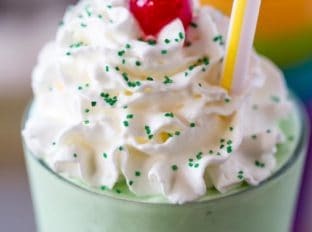 Many of the recipes on the internet for copycat Shamrock Shakes are using peppermint extract. While that would make a delicious shake, it is not the mint-flavored flavors of the original, so if you can source mint extract (I’ve linked it for you below on Amazon) you’ll have a much more authentic minty McDonald’s Shamrock Shake experience. 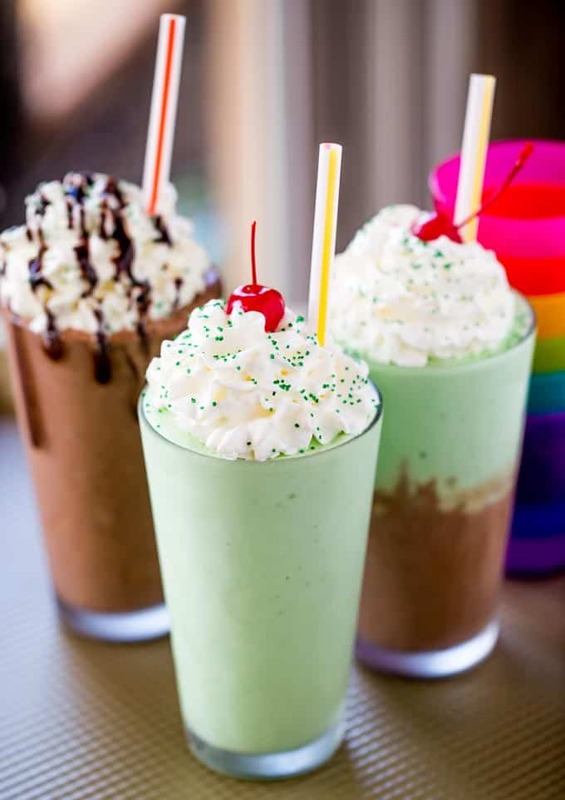 If you do use peppermint extract just expect that this shake will taste something more like a candy cane shake than an authentic mint vanilla shake which is authentic to the McDonald’s experience we are making a green-hued homemade version of. Mint Extract: Make sure you are buying “Mint” not “Peppermint” here for authentic flavors. 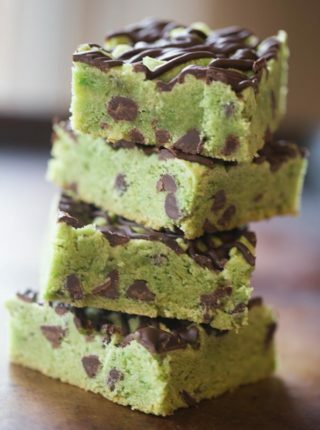 Food Coloring: The green is easy to add, start in very small doses. For this recipe you can also totally use the Food Coloring Drops (and it may be easier to add one drop at a time as needed), I just always have gel on hand. Green Decorating Sugar: The perfect topper for an authentic copy! Maraschino Cherries: Make sure you dry your maraschino cherries well before adding them to the shake or it will run into the whipped cream. If you want to make the shake dairy free you can make it with a coconut milk ice cream and coconut whipped cream. If you prefer cool whip to whipped cream you can use my Homemade Cool Whip too. If you’d like to make this low-fat and lower the calorie count you can use a low calorie ice cream and less whipped cream or skip the whipped cream altogether. Are you guys interested in any other McDonald’s copycat recipes? I do have a Slow Cooker McRib Copycat but I’m looking to make an authentic ground pork version of the McRib for you all soon too! If you miss the other delicious Chocolate Shamrock flavors of the previous years you can find them here on the site! I made all the limited edition Shamrock drink flavors. 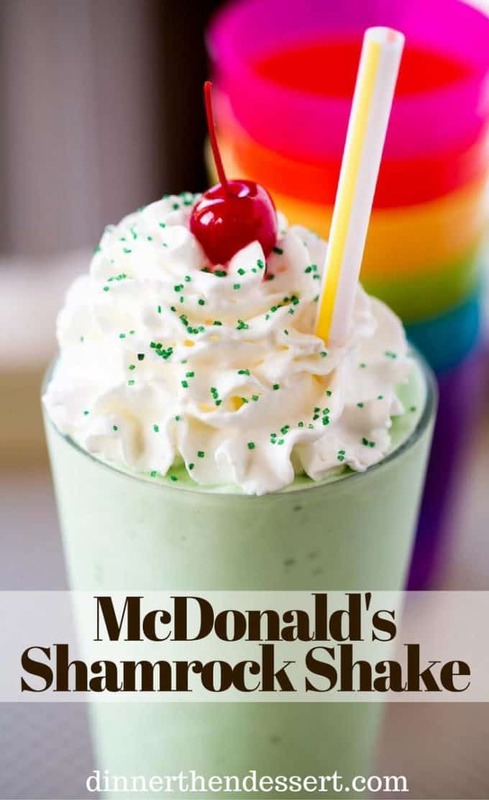 McDonald's Shamrock Shake is the homemade version of the classic St. Patrick's day treat made with vanilla ice cream, mint extract, whipped cream and a cherry. Less expensive and healthier (minus the green coloring!). Mix the ice cream, milk, extract and food coloring on high in your blender. Top with whipped cream, sanding sugar and a cherry. Tried this recipe at home. Shamrock shakes are my wife’s favorite, so I surprised her with homemade ones for her birthday. This recipe was a good base to get the right ingredients, and it does look amazing when you’re done. However I had to actually use 3/4 teaspoon mint extract to get the right taste, and I had to use a whole tube of green gel to get the right color. Ended up working out well. It was a hit with my wife. I’m so glad she enjoyed it! I’m sorry you thought it was too strong. Feel free to adjust to your liking. 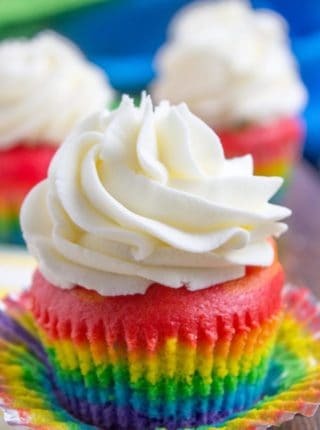 This looks like the perfect treat! I don’t see the link to the awesome straws – I’m sure it missing it. The text doesn’t look hyperlinked above. Is it me? They were a limited time thing and don’t look to be available anymore, sorry. Am I the only one who can’t find the links for the mint extract or the straws that another commenter mentioned? 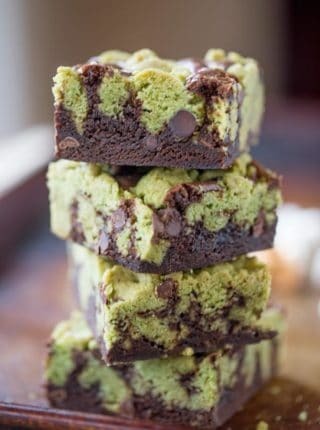 The BEST treat for St Patrick’s Day!! Yum…. I haven’t had a mint milkshake in forever (just can’t bring myself to get one from a fast food restaurant!). This looks so perfect! 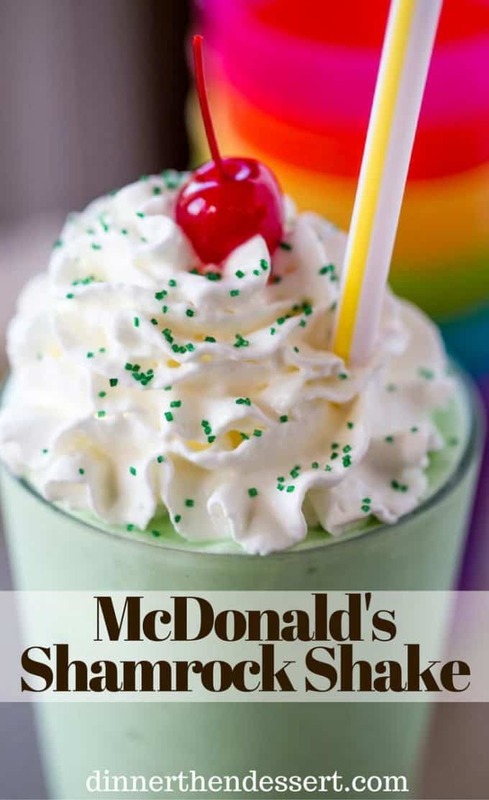 I’ve never had a McDonald’s Shamrock Shake, I need to try this! Wow! This looks amazing! Seems so easy with your recipe. It’s on my to do list. Thanks! How cool! Restaurant copycats are so fun to make at home! This shake is so pretty! And I just love the idea of making this fast food classic at home! I love that green color! Homemade is the best way!